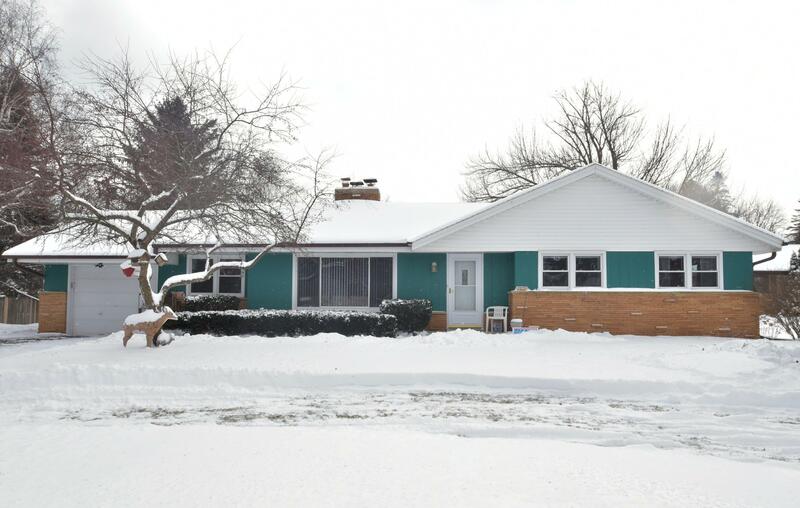 Meticulously maintained Ranch home on desirable large, mature lot. Move on into this fantastic home with some original characteristics including HWF's. Home is spacious with 3 nice-sized bedrooms, large Great Room with NFP and Dining Room. Kitchen features an abundance of cabinets and eat-in area. 1 1/2 Bathrooms on the main level. LL with additional space awaiting your finishing ideas! Outside, enjoy the park-like yard, several fruit trees including 5 Peach, 1 Apple, 1 Pear & 4 Cherry, a garden with Asparagus, rhubarb, strawberries & raspberries. Get it all in its convenient location - easy access to freeway, 20 minutes to airport, shopping, & an hour away from Madison. So much to love - this home is exceptional and will not disappoint.